The HOTTAP is a portable hot water system that lets you have hot water and showers anywhere you want. It's very easy to set up - it runs off of your 9kg BBQ gas bottle and everything connects in seconds with standard gas and hose fittings. 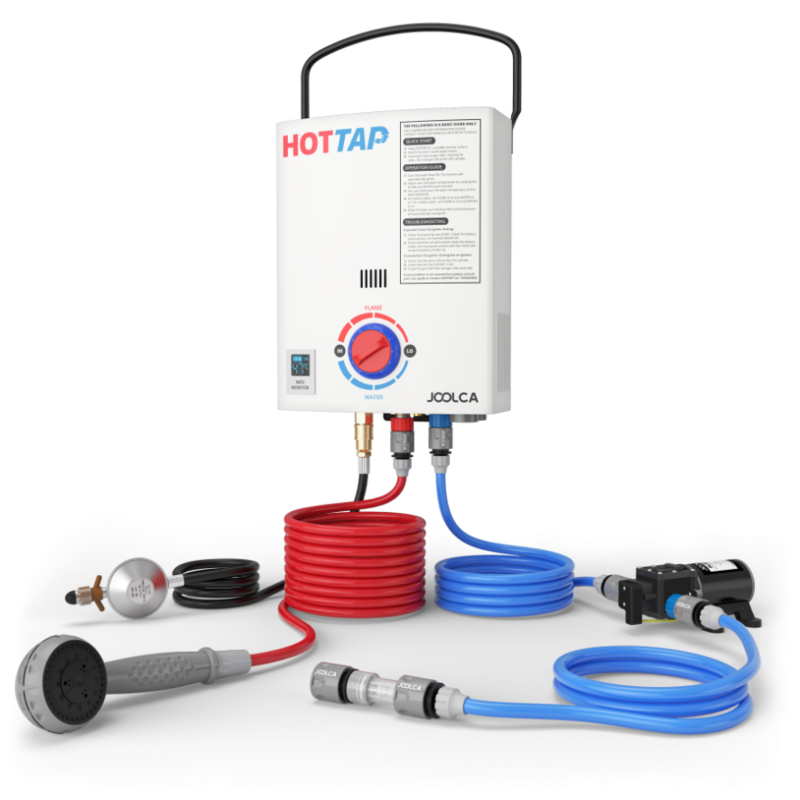 See the HOTTAP OUTING kit which includes our 12V FLOTAP pump if you need a complete off-grid solution. HOTTAP is more than simply a hot water heater. We've designed a wide range of modular parts and accessories so that you can build the ultimate off-grid bathroom.